When it comes to making arrangements for a wedding, it becomes imperative to tick all the right boxes. From the flowers to food and guest lists to merrymaking, every aspect needs crucial consideration. If you are planning your D-day and wish to make it one of the most memorable events of your life, hiring a DJ would be the right thing to do. Efficient, reputed, and experienced DJs can ensure unadulterated enjoyment for you as well as guests. Everyone present at the event will love to sway to their tunes and dance to their spectacular beats. 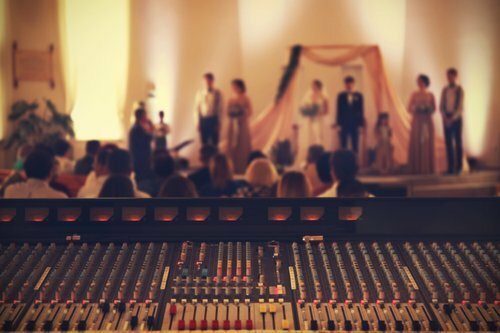 Choosing a wedding DJ can be quite tough if you aren’t aware of the right tips. The experience, style, and efficiency matter a lot in this context. It’s very crucial to remember that you are hiring the DJ for your special day. Quite naturally, checking out their services, equipment, and playlist would be important. Reputed Kelowna wedding DJs can be the best options as they have a host of solutions for clients. Right from preparing a groovy playlist to bringing in high-performance turn-tables, they can do all that’s required for complete entertainment. Experience: Seasoned and reputed DJs have the desired experience. You should get in touch with them as they will understand your tastes, mood, and preferences. Understanding the theme of the occasion is also crucial. State-of-the-art equipment: High-performance turn-tables are integral parts of a DJ’s arsenal, and it’s highly crucial that he carries them safely. Check whether your chosen DJ has the right tools in place to belt out extraordinary performances. Foot-tapping playlist: The songs and playlist happen to be the most important part. You will surely want to play jazzy, rhythmic, and groovy tracks that reflect the occasion perfectly. That’s not all; some of them might also want to hit on romantic tracks as these songs impart a special feel to the occasion. Associating with reliable and professional service providers is the best thing to do. They will comprehend what clients want and deliver the right solutions according to their choices. You can call them directly or take a look at their services through the website. Keep these aspects in mind and turn your D-day into a memorable, special, and unforgettable event for the rest of your life!